Immature? Maybe. Fun to say? Definitely. When your family asks you what's for dinner, or what smells so good, wouldn't you love to be able to reply, "Svenska köttbullar"? Also, side note slash language lesson: the word "svenska" implies the feminine. Meatballs are feminine. That also cracks me up. But, girly balls and fun tongue-twisting language aside, they are also quite tasty to eat. Early in my marriage, in the "I need fast easy meals and I don't really care where the food comes from" days, I had the best go-to Swedish meatball recipe. It involved a can of cream of something soup, a packet of sodium overload...I mean, onion soup mix, meatballs, and sour cream. Turns out, it wasn't that hard at all to turn that processed not-so-great-for-you dinner into a real food version that, while it may not be exactly diet food, you don't have to feel guilty about. And bonus: with a little organization, it can be pulled off in about 30 minutes. You'll need meatballs. Naturally, meatballs you make yourself with quality ingredients are best (and they are easy to freeze), but there are plenty of good brands of pre-made frozen meatballs out there these days. You can even go with turkey or chicken meatballs, if you want, or there's probably a good no-meat meatballs out there that you could try too, if you're not into meat. Get or make whatever strikes you as right. If you make them, make them small, if you buy them, go for the smaller size. Cooks faster (usually around 20-25 minutes from frozen), more sauce to meat ratio. I'm not going to go into my own meatball recipe now...that's a blog post for another day. Heat your oven for the köttbullar...which, if you haven't figured it out, is meatballs. While that's on preheat, grab a couple of onions, take the outer peels off, and cut them in half and then into strips. Melt a couple of tablespoons of butter in a saucepan, then add the onions, a pinch each of salt, pepper, and sugar, and a little beef bullion or beef reduction. Cook it over medium heat to reduce and start to caramelize the onions. Pop the meatballs in the oven when it heats, and throw a large pot of water on to boil for noodles. Once the onions are carmelized, sprinkle a tablespoon or two of flour over them and mix it in well. Then add in about a cup pf stock. It can be whatever you have on hand. I usually go for beef stock, but I had some veggie stock on hand last night, so I used that instead. Stir constantly. It should thicken up to a nice sauce consistency. If it's too thick, add more stock. Too thin? Add a little more flour. By now, the water should be boiling, so plop in some egg noodles to cook according to directions. If you want extra points, you can also steam up a nice veggie for the side. Broccoli or green beans, something like that, would be nice. Okay, so your sauce looks nice and smooth, and your meatballs are probably close to being done. Plop 8 oz. of sour cream into the sauce and stir it in. Don't let it boil after this, because it will break the sauce, but heat it through. 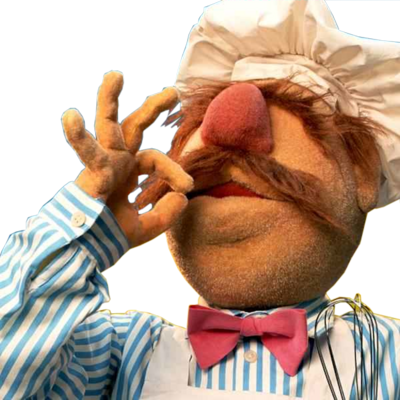 When the meatballs are done, you can either pop the right in the sauce or top them with it on the plate. Serve it up with the noodles, buttered, of course, and a veggie on the side. Bake meatballs, according to directions. Cook egg noodles, according to directions. Chop the onion into strips. Melt butter in a large saucepan. Add onions and a pinch of salt, pepper, and sugar. Add about a teaspoon of beef bullion. Mix well. Cook over medium heat until onions caramelize. Mix in 1-2 tablespoons flour and cook for a minute. Mix in about a cup of stock and boil. It should thicken to a saucy consistency. Mix in sour cream. Mix in meatballs, or serve over meatballs. Serve it all over egg noodles.